Post-Fukushima, why is India alone in a mad rush for nuclear power? Japanese prime minister Shinzo Abe arrived in India on 11 December. He came with a bag of goodies - bullet trains, aircraft and, most importantly, nuclear power. Do we really want his nuclear power? No, we definitely don't. Here's why. The proposed India-Japan Nuclear Agreement, to be signed during the visit, is more than just a bilateral deal. It's an instrument to serve American and French nuclear lobbies. The deal would fast-track the French nuclear giant Areva's project in Jaitapur, Maharashtra. It's also crucial for supply of critical equipment to the American nuclear projects in Gujarat's Mithi Virdi and Andhra Pradesh' Kovvada. But that isn't its most damaging aspect. Both Tokyo and New Delhi have been trying to sell the deal as essential for India's "development". The truth is it would lead to the destruction of some of our most pristine landscapes, biodiversity hotspots, prosperous agricultural lands and rich community cultures. How? Nuclear power plants require large quantities of water as coolant. They are usually located near major highways and not too far from well-populated consumption centres. And such places, all over the world, have economically and culturally flourishing communities. Jaitapur, for example, is located in the stunningly beautiful Konkan, replete with verdant plateaus, magical mountains and undulating hills, lagoons, creeks, the open sea and infinite greenery. The NPCIL has labelled nearly 65% of the region's land as barren, which the local people find outrageous. Konkan is one of the world's 10 "Hottest Biodiversity Hotspots", sheltering over 5,000 species of flowering plants, 139 of mammals, 508 of birds and 179 of amphibians, including 325 globally threatened ones. The region offers prosperous life to its inhabitants. Altogether, the nuclear park would jeopardise the livelihoods of 40,000 people. The annual turnover of Jaitapur's fishing villages is about Rs 15 crore. In Nate alone, there are 200 big trawlers and 250 small boats. Nearly 6,000 people depend directly on fishing and over 10,000 are dependent on ancillary activities. The community is apprehensive that once the project gets operational, the elaborate security arrangements around it would block the fisherfolks' use of the two creeks of Jaitapur and Vijaydurg. 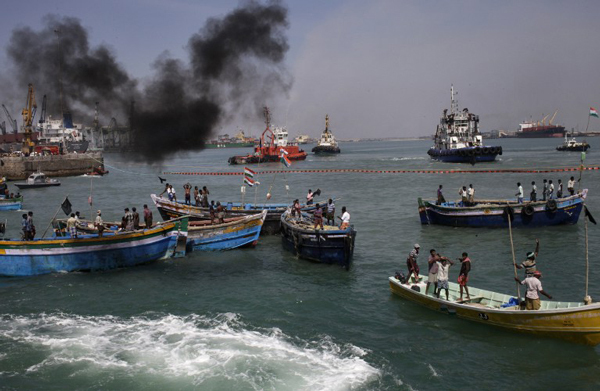 The fish population will also be affected since the plant would release a huge 52,000 million litres of hot water into the Arabian Sea daily. Jaitapur has highly fertile land, which produces rice and other cereals, and arguably the world's most famous mango, the Alphonso. Cashew, coconut, kokum, betel nut, pineapple and other fruits are also found in abundance. The land is also quite productive in terms of its use for cattle-grazing and rain-fed agriculture. Safety concerns at Jaitapur are not unfounded. Areva, which is verging on bankruptcy after the Fukushima disaster, is building six European Pressurised Reactors in Jaitapur. The EPR is under the scanner with the French nuclear regulator highlighting crucial vulnerabilities in its design - ironically, in a report released just two days before Modi's visit to France in April. Finland canceled its order for Olkiluoto 4 project this year after recurring delays and cost over-runs. There are similar stories in Kovvada and Mithi Virdi, where livelihoods and safety of tens of thousands of villagers is threatened by the proposed nuclear plants. Abe, of all people, should know about these dangers. In his own country, under his watch, the Fukushima crisis is deepening ever further. As per the national broadcaster NHK, the Tokyo Electric Company, which runs the Fukushima Daiichi nuclear plant, has detected 4,000 times higher radiation. This despite Abe's declaration two years ago that Fukushima was "under control". 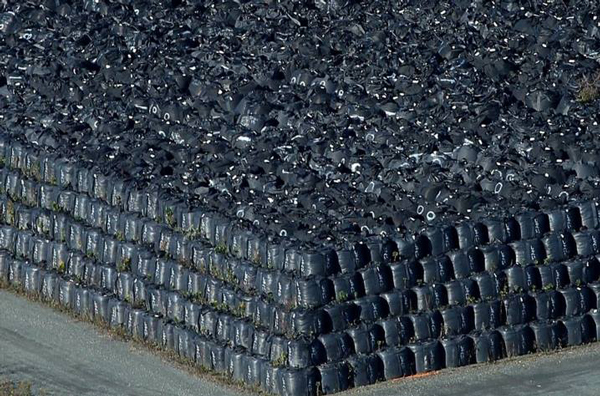 Mainichi reported yesterday that 4 years and 9 months after the accident, more than 9 million bags of highly contaminated radioactive waste are lying around at 1,14,700 interim storage sites in Fukushima with no disposal plan in sight. Apart from containing the crippled reactors, managing over 100 tonnes of contaminated water that is pumped daily to keep the molten cores cooled, Abe's regime is struggling with the issue of rehabilitation. No less than 200,000 people continue to live in temporary settlements with shattered lives and broken families, amid the constant fear of radiation-borne diseases and even social ostracism. Contrary to the analogies of car accidents often dished out by promoters of nuclear plants, radioactive accidents are qualitatively different than any other industrial or natural mishap. In most accidents, relief and reconstruction can start from the next day. In case of a nuclear accident, highly toxic radiation renders that impossible for decades. For the first time in April, a robot was sent inside the core of the Fukushima reactor for an assessment of the molten fuel. The radiation was so high that it "died" within 3 hours. 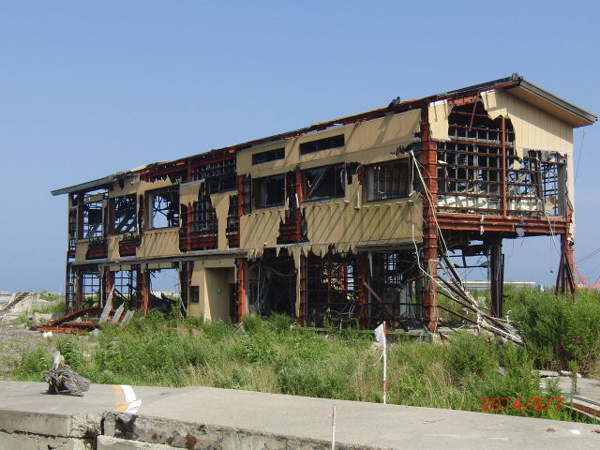 Much like Chernobyl, where a 20-km zone around the disaster site remains uninhabitable 30 years of the accident, Fukushima has its own ghost towns such as Namie, Futaba and Minami Soma. To protest this dire situation, tens of thousands of people have hit Tokyo's streets, apart from the hundreds who have been demonstrating in front of the Japanese parliament every Friday evening since the accident. Still, Abe wants to sell nuclear technology to India. More worryingly, why is India in a mad rush for nuclear power. Particularly, when it's so insanely costly. The price of electricity from the imported reactors is going to be extremely high. Going by the cost of EPRs in Britain, each Indian reactor may cost as much as Rs 60,000 crore. Indeed, the cost of Jaitapur's first phase alone equals the total expenditure on science and technology. 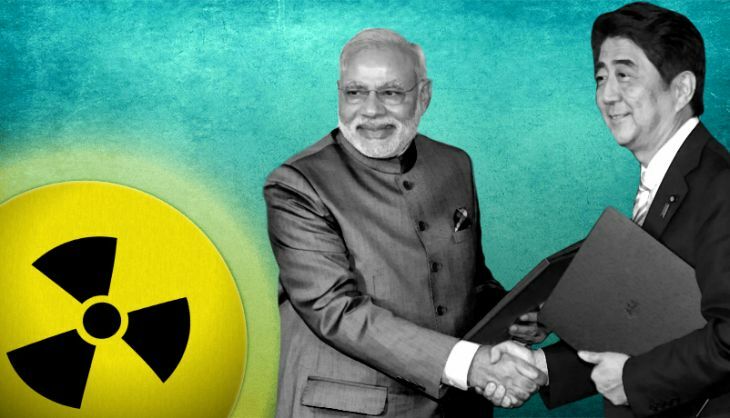 Post Fukushima, India is among a handful of countries pursuing nuclear expansion. In 2008, ahead of the Nuclear Suppliers Group meeting, India offered its major member states huge nuclear purchases. The promises - made in exchange for an end to the 35-year-long embargo that India faced for diverting civilian material for making an atomic bomb in 1974 - have meant that India has missed the global shift away from nuclear power. Essentially, India's nuclear projects are the price villagers would be paying for the elite's superpower dreams. 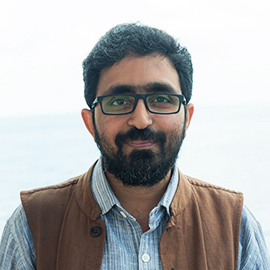 India's nuclear establishment was the first group to be surprised by the nuclear deal with the US in 2005, only to later rationalise it with justifications like inevitability of nuclear power for India. The inherently unsafe nuclear power becomes much more risky in India owing to the totally non-transparent nuclear sector that has shown scant regard for independent scrutiny and regulation. India is perhaps the only country in the post-Fukushima world which has proposed a weaker nuclear regulator. The government is making every effort to do away with already weak legal provisions to hold nuclear suppliers liable for accidents. Bureaucratic apathy and corruption can be relied on for further mismanagement of potential accidents. Not surprisingly, villagers in Jaitapur will be protesting during Abe's visit, and many more from outside will be joining them. They are those who care about this country. MORE IN CATCH - 2 years on, Kudankulam isn't working. Where are its cheerleaders now?